Each of your feet contains 26 bones, 33 joints and more than 100 ligaments, muscles and tendons, according to MedlinePlus, a website of the National Institutes of Health. Advocates of foot detoxification claim that it can help release toxins and improve overall health, but conventional medicine maintains that detoxification is not a necessary treatment. A few studies, including one published in the journal "Cancer Nursing" in 2010, indicate that foot baths — a form of detoxification — may help relieve fatigue and insomnia in some people. While the "Cancer Nursing" study researchers do not refer to a warm foot bath as "detoxification" treatments, it is considered one. According to Jacqueline Krohn, a physician specializing in environmental and occupational medicine, and Frances Taylor, a microbiologist, a foot soak or bath increases blood circulation near the surface of the skin to release toxins. These baths can last for between 5 and 30 minutes. They are particularly beneficial in ridding the body of xenobiotics, which are substances not normally found in the body. However, certain people should not indulge in foot baths, such as diabetics. If you have a medical condition, speak to your doctor before doing a foot bath. In some cases, compounds can be added to a foot bath to increase its detoxifying ability. Krohn and Taylor refer to these treatments as medicated soaks. 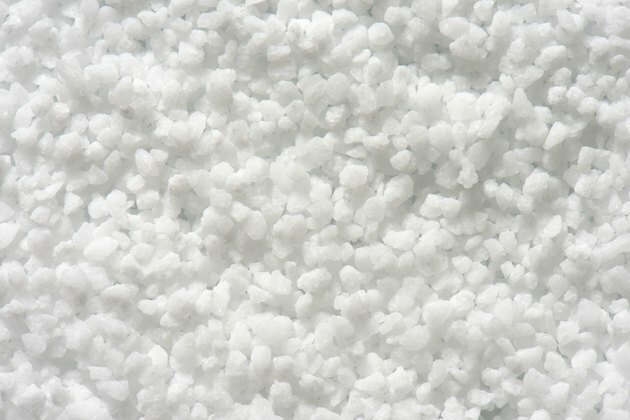 Epsom salts is a traditional bath or soak ingredient. According to Krohn and Taylor, these salts activate fluid movement in the tissues and increase perspiration. Epsom salts also contain sulfur, which has long been used for its cleansing and medicinal abilities, for instance, in hot sulfur springs. In a study published in 2003 in the "International Journal of Clinical Chemistry," sulfur baths improved plasma homocysteine levels, which the researchers explain is a risk factor for cardiovascular disease. The skin is the largest detoxification organ in the body. Dry brushing has existed for thousands of years and helps to improve your skin's function, including eliminating waste, according to Bruce Berkowsky, a retired natural medicine doctor and faculty member of the British Institute of Homeopathy. In involves using a product such as a loofah, a natural skin brush, or hair glove. According to Krohn and Taylor, brushing the skin on your feet — including the soles — or any other part of your body helps remove dead skin cells and uric acid crystals. They recommend following a dry brushing treatment with a cleansing shower or bath. More scientific evidence is needed to prove the benefits of skin brushing.